This park is the perfect spot for enjoying the intracoastal waterway and maritime forest. 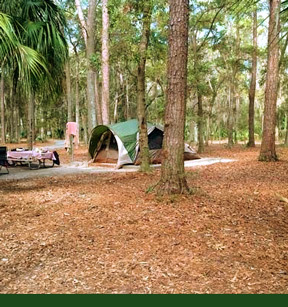 Campsites are surrounded by palmettos and Spanish moss-draped oaks, while cottages are set near the tidal river. 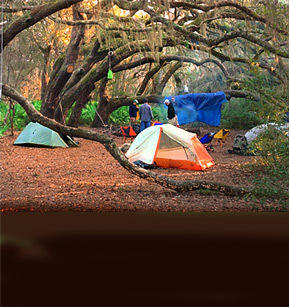 Many area visitors stay overnight at Crooked River State Park and visit Cumberland Island during the day. 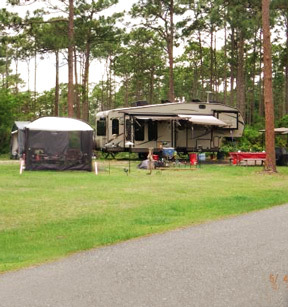 Seven fully equipped cabins sit on stilts, offering nice views of Fort McAllister's forest and marsh. 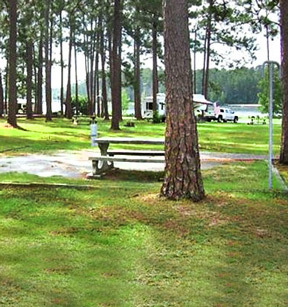 A shaded campground is bordered by tidal Redbird Creek, a boat ramp, fishing dock and nature trail. 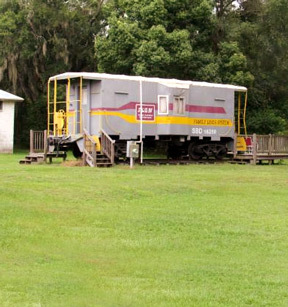 The renovated Roadmaster's Office is now quaint lodging or stay in an authentic caboose's for a vacation next to the tracks. RV hook-ups also available. 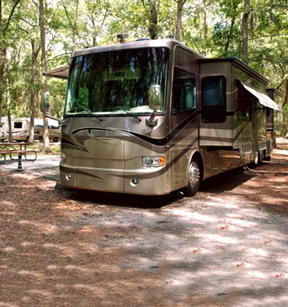 Skidaway Island State Park's campground is just 20 minutes from downtown Savannah. Pull-through, tent and sewage hookups are available. Reservations are highly encouraged. Three camper cabins offer soft beds, hot showers and kitchens.